Additional daughters have the opportunity to come with their moms and sister for a week in the summer. Our summer camp sessions run from Saturday through the following Friday every week from Memorial Day weekend through Labor Day weekend. 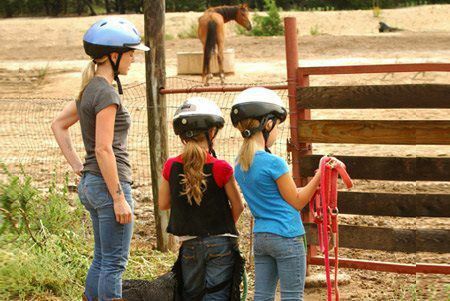 Camp tuition is for each additional daughter and is all-inclusive (lodging, all meals, tack, horses, lessons, etc. Note To reserve a spot for an additional daughter or two. Please select the "Add to Cart" below for each addition. This is after your purchasing of THE Mother & Daughter Package. Monthly Plan: $500 deposit. Please make your deposit/reservation then contact us to arrange a payment plan.